How many funeral homes in Loveland have the owner’s name on the business? One. Viegut Funeral Home has served the community since 2000. Owner David Viegut is a fifth generation Loveland resident. Viegut Funeral Home is dedicated to the simplicity of excellent service. They take the mystery out of funeral arrangements, with prices available right on the website. Counselors offer their experience to help you through all of the choices. Have you considered pre planning your funeral arrangements? Pre-arrangement takes a burden off family members or friends at a very emotional time. 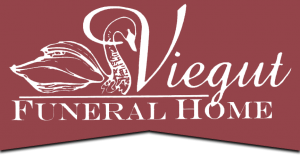 A commitment to caring services and affordable prices means that Viegut is your best choice for funeral homes in Northern Colorado.